To know your order status, Kindly Contact Us with your registered E-mail ID, tracking details will be sent to your within 24 hours after your product has been shipped. 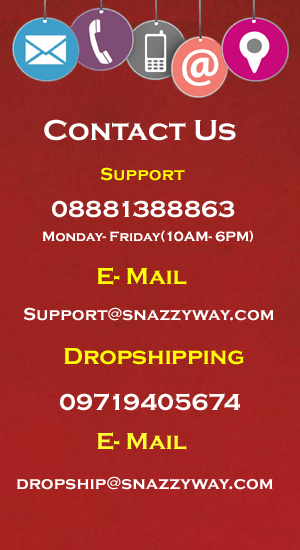 To cancel your order, please mail us on support@snazzyway.com. Please use the same registerd E-mail ID used at the time of placing order otherwise we shall be unable to process your request. Our office has appointments available Monday through Friday. Appointment times vary by day. 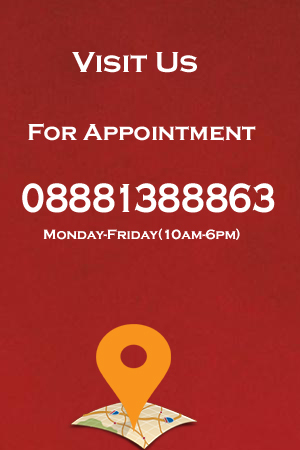 You may call 08881388863 for an appointment 8:00 am – noon and 1:00 – 4:30 pm. We do understand that everyone is busy and your time is valuable. We respect that and make every effort to keep our appointment schedule running on time. Unfortunately, urgent events sometimes occur that result in a delay. Our staff will let you know the status of the schedule when you arrive. If you are running late, be sure to let us know.